As well as a distinctive design, these huge nearfield monitors offer a frequency and time‑domain performance that compares with the best. 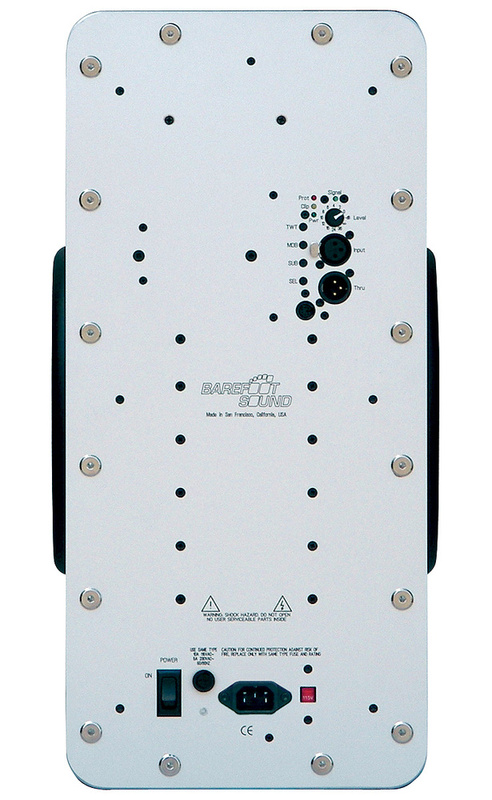 When the eponymous American manufacturer Barefoot Sound launched the unusual MicroMain 27 ('MM27') monitors a couple of years ago, the Internet forums lit up with excited chatter. I've seen and heard these intriguing and distinctive nearfield monitors at various trade shows since then, and I'm very pleased now that a UK dealer (KMR Audio)has been appointed. Thomas Barefoot's innovative design is quite different from most other high‑end, nearfield, three‑way active monitors, the most distinctive feature being the side‑facing bass drivers, which I'll consider in more detail later in this review. The MM27s are designed to serve as main monitors operating in a nearfield position, with enough resolution for mastering purposes, as well as general tracking and mixing duties. The front baffle is machined aluminium, and this is inset into an MDF cabinet that has generously radiused corners, to minimise diffraction. The cabinet is sealed, not reflex ported, and is extremely well braced and damped, enclosing a volume of 32 litres. Not only is the MM27 quite large for a nearfield speaker, measuring 241x521x387mm (WxHxD), but each cabinet is also extraordinarily heavy, at 32kg, making it a struggle for one person to set these beasts up! Substantial stands will be required. The front baffle accommodates three drivers: a one‑inch, soft-dome tweeter and two five‑inch mid-range drivers set up in a D'Appolito configuration — which is to say that the tweeter sits between the two midrange drivers, which are mounted vertically above and below, in individual, sealed enclosures. Essentially, the D'Appolito arrangement is intended to optimise horizontal dispersion. Usefully, a rocker switch alongside the tweeter can be used to engage or de‑activate a standby mode. Two associated LEDs indicate when the speaker is working (green) and when an amplifier is clipping (red). 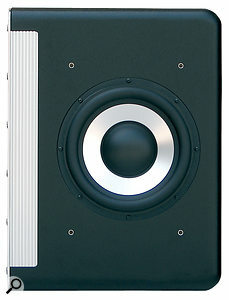 The MM27 employs two long‑throw, 10‑inch bass drivers with aluminium cones and, very unusually, these are mounted on the opposite side walls of the cabinet. The motor units of these drivers are bonded together internally, and they're driven in phase so that both cones move in or out together. As a result, the opposing forces act to cancel each other, and so the cabinet remains very steady, even at high volumes. Operating in a sealed cabinet configuration provides a relatively gentle bass roll‑off with generous extension (aided by some electronic compensation) and a very good time‑domain response, free of the LF ringing or resonances commonly found in reflex (ported) speaker designs. Four threaded holes above and below the bass drivers on each side look a little odd, but these are provided to attach the MM27 to a bespoke Vintage King 'Sound Anchors' floor stand, or to accommodate a pair of included rails/handles. Given the weight of these monitors, the handles are a useful facility to have, and fitting them both on the same side enables the speaker to be used horizontally, rather than vertically, spacing the bass unit away from the mounting surface. The rear panel is machined aluminium again, and supports the amplifier chassis internally, along with the connections and user controls. Mains power is hooked up via a standard IEC inlet at the bottom of the panel, with a separate fuse holder, a recessed switch to select 230 or 120V AC, and a rocker switch to power the unit. 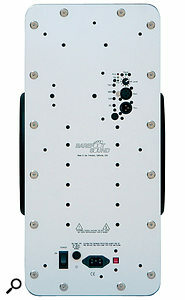 At the top of the panel, two XLRs are provided, one for the signal input (electronically balanced) and the second providing a straight loop‑through output intended to feed a subwoofer. An input attenuator allows level matching with other systems, and four LEDs indicate power (green), clip (yellow), protection (red) and signal (green). Three of the four recessed push‑buttons provide the unusual facility of muting the three amplifier outputs — tweeter, mid-range and bass — and are clearly intended for test/setup functions rather than as operational controls, while the fourth changes the crossover voicing slightly. This last feature actually had me confused at first, because it didn't seem to do anything. However, applying the mantra "If in doubt read the manual”, I discovered that changing this switch setting only takes effect if the power is cycled off and on... after which a slightly more 'hi‑fi' character is provided, with a gentle 'smiley curve' that holds the upper mid-range back by about 1dB between 3kHz and 9kHz region, and lifts the bottom end by about 0.5dB below 100Hz. It's subtle, but it takes the analytical edge off the sound and is just a little more forgiving and easier to listen to. The amplifier chassis provides three amplifier sections with crossover frequencies of 110Hz and 2.5kHz. The tweeter is powered by a 60W amp, while the two mid-range units share 250W, and the two bass units a chunky 500W. The latter may seem surprisingly large for a nearfield speaker, but this is in part because of the electronic compensation to extend the bass response and the need to maintain headroom. The result is a speaker with a claimed frequency response extending between 38Hz and 20kHz (±1.5dB), with a bass response which falls at 12dB/octave with optimal damping (‑3dB at 33Hz and an ideal Q of 0.707). At idle, the system consumes a modest 30W, and the rear panel barely got above slightly warm during the review period. A 10‑inch woofer on each side of the sealed cabinet contributes to the impressive clarity of the bass end. The MM27s are attractive monitors, being visually stylish and intriguing, and very well finished (as they should be, given their relatively high UK price). Initially, and based purely on my expectations from their physical size, I rigged the MM27s vertically on some sturdy stands alongside my reference three‑way PMC IB1s, and retired to my usual listening position about eight feet away: a typical 'mid‑field' monitoring setup. In this arrangement, the MM27s were capable of providing generous sound pressure levels, lifelike dynamics, and excellent mid-range detail and resolution, but the balance was quite poor, with a distinctly lightweight bass, despite the two huge 10‑inch bass drivers. The bass was well extended and extremely tight and accurate, but lacked oomph and power. Could this be right? As I pondered the disappointing sound, I reached for the rather sparse 'user manual' and discovered my error. Relocating the monitors to a typical nearfield situation, about three feet away from my listening position, I was relieved to find the tonality was completely restored, with the kind of powerful, well‑balanced bass that I'd expected to hear from the outset. 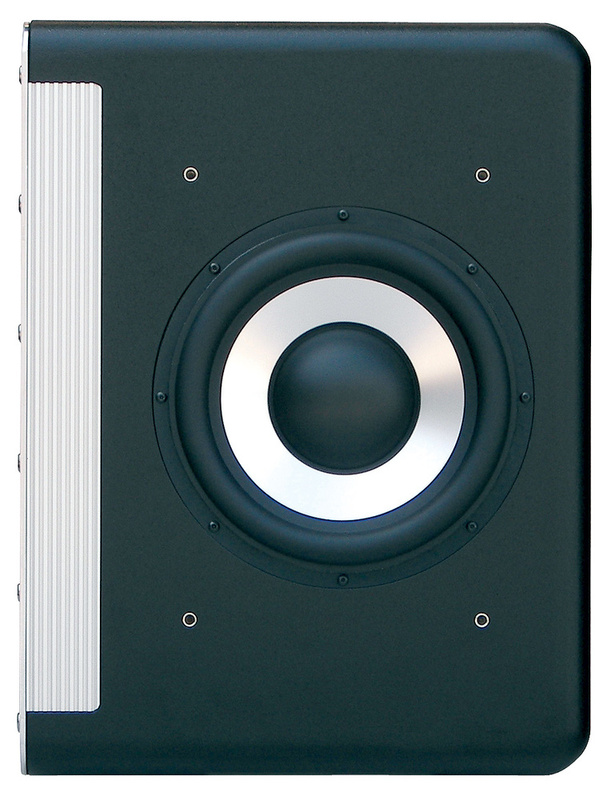 The MM27s are true monitoring loudspeakers — and there are few worthy of that title, in my experience. The bass end is well extended and always very fast, very tight and very clean. The low levels of distortion here enable the mid-range to be auditioned accurately, without harmonic bass distortion acting as a veil to conceal what is going on. The mid‑range is very punchy and dynamic, with lots of clarity and detail, which makes a smooth transition into the upper‑mid and high end. The MM27s will go insanely loud if you need them to, but also still sound very balanced and accurate at low levels — which is an unusual but most welcome trait (and one of the things that attracts me to PMC monitors, which all share the same characteristic). The claimed response is very flat, and I've no reason to doubt it given the sound I heard, although to some people that tonality would be perceived as a hard, very unforgiving and forward upper mid‑range — something that would be unpleasant in a speaker designed primarily for recreational purposes. In a mixing or mastering application, though, it provides a ruthless spotlight on recording quality, with fantastically etched transients, and enables the subtlest of signal‑processing tweaks — and especially dynamics and EQ — to be heard clearly and precisely. The same is true of the bottom end too, because the very tidy time‑domain response leaves this speaker free from the resonant ringing of many reflex speaker designs — and thus enables the clear separation of kick-drum and bass-guitar energies. You can hear precisely when each instrument starts and stops... and that is critically important when it comes to making mixes that translate well to other systems and listening environments. So often with ported speakers, the thud of a kick drum is smeared over time to such an extent that it masks the bass guitar and makes it extremely hard to find the optimal balance between the two. That's one reason why the classic Yamaha NS10 speaker has remained so popular with mix engineers: its sealed cabinet design endows it with a very tight time‑domain performance that makes it far easier to hear what is going on and when in the bottom octaves. 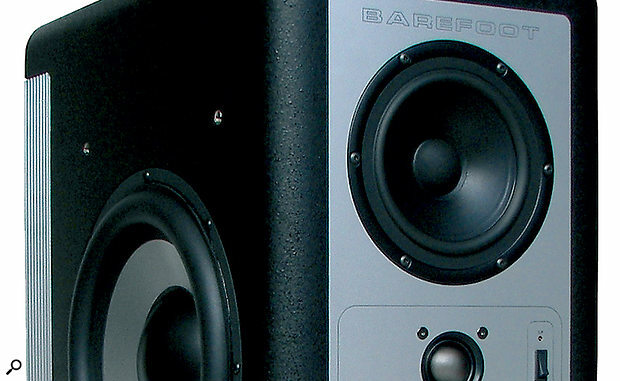 The Barefoot MM27 does exactly the same thing, but with far greater fidelity. Given the narrow baffle‑profile, I was expecting great stereo imaging, and I wasn't disappointed. The imaging is precisely etched and very stable over a wide 'sweet spot,' and spacious reverbs are portrayed with a huge sense of scale when appropriate. Vertical orientation of the MM27s sounded much better to my ears than horizontal orientation, which I felt compromised the stereo imaging in comparison. The sparse‑looking rear panel of the MicroMain 27 speaker. One of the hardest tests for any speaker is to reproduce a well-recorded spoken voice; so many systems produce the sound of someone in a box — which means you can hear the speaker cabinet! Running a very familiar voice recording through the Barefoots revealed a very human-sounding voice, with virtually no coloration, which was very impressive — although it did come across as a touch hard, as if it had been recorded with a Neumann U87 instead of a TLM170. Personally — and this is more a reflection of a career working with classic BBC and British‑voiced monitors than of the Barefoot's voicing — I found the alternative voicing option preferable for long‑term mixing and mastering work. The change is subtle, but I found it made the speaker less fatiguing over extended sessions, without sacrificing the audio‑microscope effect of its upper mid-range precision and clarity, and it more closely matched my expectations. Thomas Barefoot has produced something quite special here, and although the quality of the components and overall design has resulted in a relatively high cost, the cost‑performance ratio is easily on a par with other true monitor speakers of similar ability and size — and there are very few monitors that I would place in that category. These are well worth an audition, but only if your bank account can stand the strain, because once you've heard them you'll be loathe to leave without a pair! 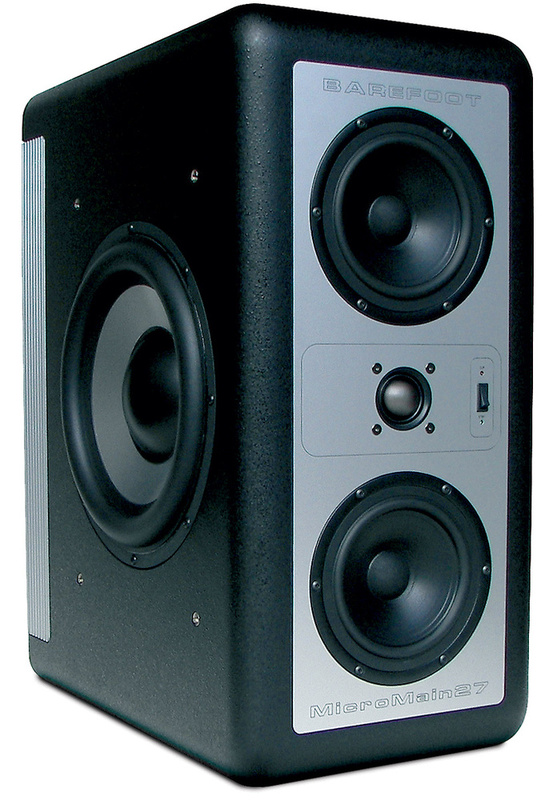 Very high-quality nearfield monitors aren't that common, but possible alternatives to consider and audition would include the PMC AML1s (slightly more compact active two‑ways using the ATL cabinet design to provide a similar bass extension to the MM27s), ATC's brand new ATC25 compact active ported three‑ways, and K+H's O300D active three‑ways in sealed cabinets. Excellent bass extension when used as a nearfield. Superb dynamics, transient detail, mid-range resolution and bass timing. High SPL capability but retains spectral balance at low levels too. Huge weight not meter‑bridge friendly! Quality monitors will never be cheap! Needs very sturdy high stands. The MicroMain 27 is a large and unusual nearfield monitor of real quality and resolution, with exceptional bass extension. You could think of it as an upmarket NS10 in terms of providing the ultimate reference mixing tool, but it doesn't suffer from the NS10's coloration or limited power handling. £5744 per pair including VAT.